Our Driving Distance series is proudly presented by CPI Security, providing innovative security and smart home solutions so you can go exploring, worry-free. See how Agenda writer Katie Loveluck uses her CPI Security system while she's away from home. 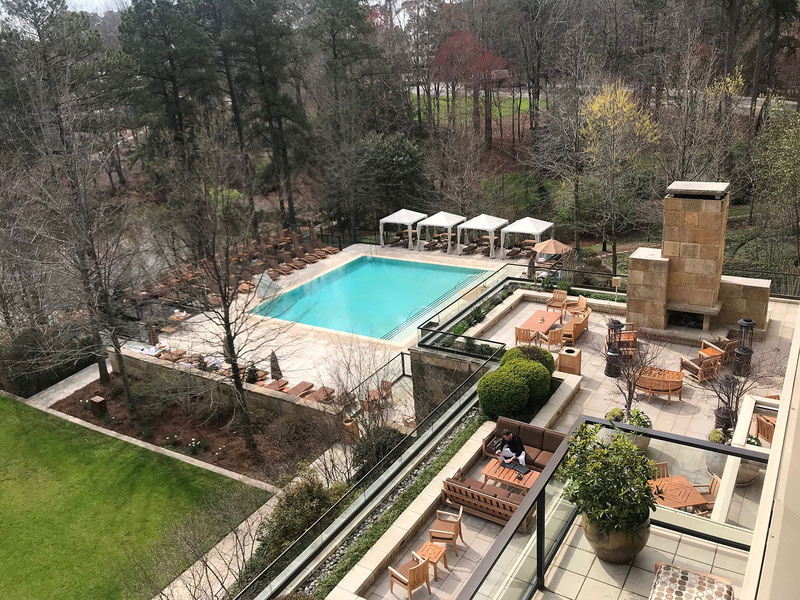 One of only three AAA Five Diamond hotels in North Carolina, The Umstead Hotel and Spa is an unexpected luxury oasis in suburban Cary. 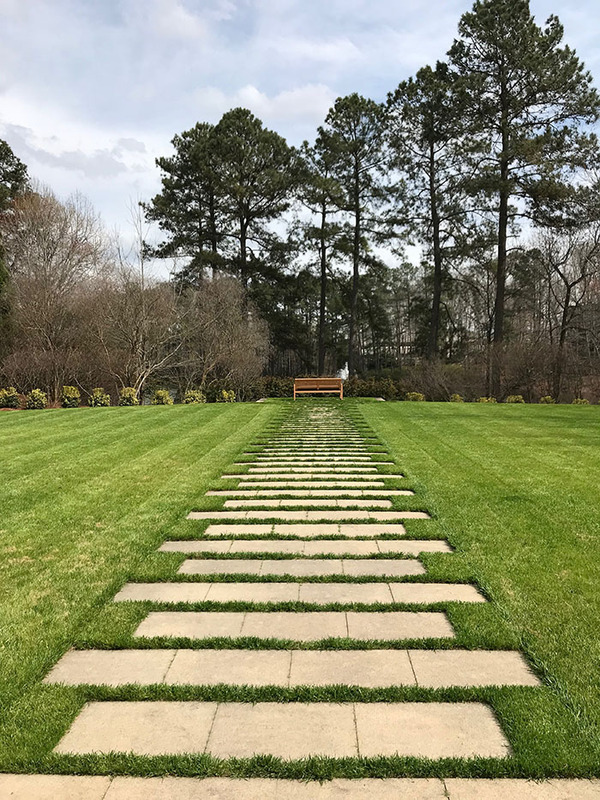 Situated on a wooded lot with a 3-acre lake and cabana-lined outdoor pool, the 150-room property feels like a secluded mountain retreat but is conveniently located off I-40 just outside Raleigh alongside strip malls and shopping centers. You wouldn’t know it once you’re on the grounds, though, because The Umstead is the kind of place you go to forget where you are. It absorbs you — from the phone-free spa where time seems to evaporate to the all-consuming dining experience at Herons, the hotel’s exquisite AAA Five Diamond signature restaurant. 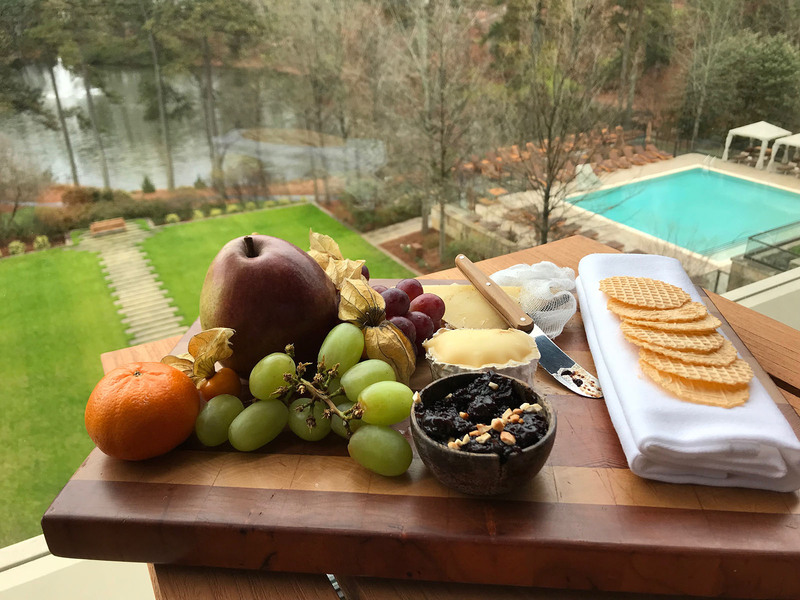 Here’s what to expect on your first visit to The Umstead. Accommodations at The Umstead range in size from 540 square feet to a sprawling 1,725-square-foot penthouse suite. But the higher level suites with lake view balconies overlooking the manicured lawn and pool are tough to beat and would be my first pick. Hotel pricing is dynamic, but rooms generally range in price from about $320 to $1,700 per night. Can I bring my dog? Absolutely. The property is pet friendly (including every room except the Presidential Suite) and welcomes all pets with no breed or weight restrictions. They even have DogWoods, an enclosed outdoor pet playground, for use during your stay. A $200 deep cleaning fee is applied to your room per pet. 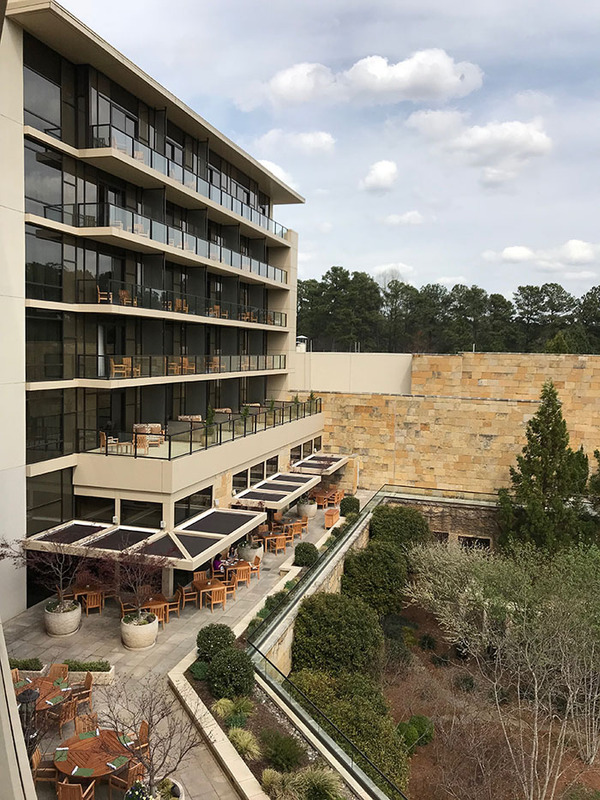 You have three dining options on the property — Herons, one of only 68 AAA Five Diamond restaurants worldwide; The Umstead Bar & Lounge, a more casual option for lunch or dinner; and room service, available 24 hours a day. Herons should be your top priority. Herons is a destination in and of itself. Even if you’re not staying at the hotel, this immersive dining experience should be on every North Carolina bucket list. 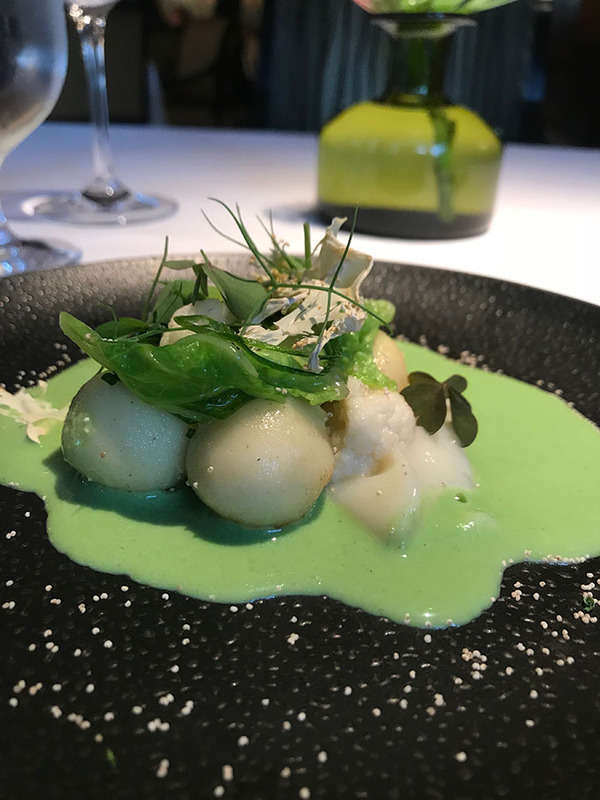 The restaurant is open for weekday breakfast and lunch as well as weekend brunch, but go for the multi-course dinner menu if you have to choose. It was one of the most memorable meals of my life. Ricotta with cabbage cream, cauliflower puree, scallion and white poppy seed. I have dreams about this dish. The a la carte daytime menus feature entrees in the $15 to $22 range and dinner is offered in 3 courses ($95, $45 wine pairings), 4 courses ($105, $60 wine pairings) and 8 courses ($150, $90 wine pairings). Gluten-free and vegetarian multi-course menus are available. Portions are small and presentation elaborate — like butternut squash soup poured tableside over a sphere of white chocolate or a delicate cotton candy taco palate cleanser — but you’ll leave too full to eat the cookies they give you with your bill. 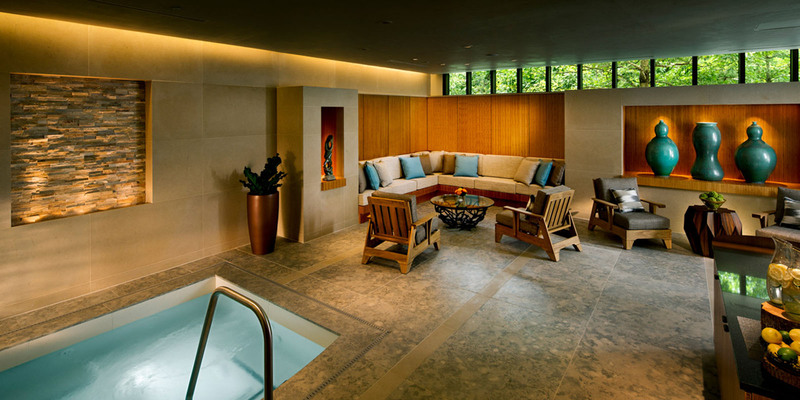 The Umstead Spa offers massages, facials, body treatments and nail services by appointment. 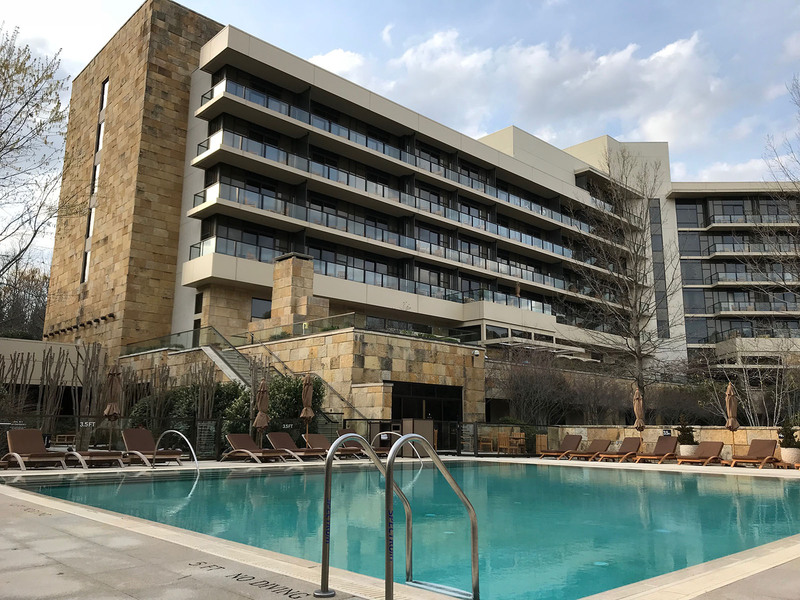 Even without a scheduled treatment, hotel guests can enjoy separate men’s and women’s facilities equipped with whirlpools, saunas, steam rooms and lounges, as well as a co-ed outdoor current pool. Clothing is optional in the gender separate indoor facilities, but everyone had on swimsuits when I was there. Swimsuits are required in the co-ed pool. Facilities are complimentary for all hotel guests Monday – Thursday but you’ll have to book a minimum $100 treatment to get in on the weekends. Check in the at the front desk – You’ll sign a waiver and promise to leave your electronics outside. Get a robe, sandals and locker – An attendant will show you how to set up your locker and give you a tour of the space. Settle in and relax – Electronics are strictly prohibited inside but they have magazines and snacks (like chocolate-covered pretzels and nuts) to keep you entertained. Enjoy high tea – Afternoon tea is served Wednesday through Sunday 2-3:30 p.m. and features a live harpist. The experience is $36 and requires advance reservations. Start the day with a complimentary yoga class – Offered Saturdays and Sundays at 9 a.m. Hang out by the pool – It has ample lounge chairs and a poolside bar. Four cabanas are available for rental. Ride complimentary hotel bikes to Umstead Park – The sprawling 5,599-acre park is located just across I-40 and free bikes and helmets are available at the concierge. Walk the lake trail – An easy 1/4-mile trail around the hotel’s 3-acre lake is perfect for a casual stroll. Can’t wait to hit the road? Check out the rest of our Driving Distance destinations, presented by CPI Security.